Back when I was starting out as a web designer and developer, my biggest problem was getting stuff to work the way I wanted it to. I was concerned more about getting things (mostly) working as I expected them to be. Getting things to look snazzy was usually one of my primary goals when finishing a website. WordPress security was the least of my concerns. Hacking was something I read about, not something I expected to happen to me. SQL injection, cross-site scripting, elevation of privileges and critical security vulnerabilities were just buzzwords in tech news. But one day, securing my sites suddenly got very important, very quickly when my Facebook feed told me there was a critical vulnerability in WordPress, which was actively being exploited. When I next tried to log in to my site, my credentials were not accepted. Most of my sites had been compromised by the vulnerability. I got lucky, though. I had taken one inadvertent precaution, which saved my sites from being fully exploited – I had renamed my admin username – and despite the fact the vulnerability had been exploited on my site, the hackers could not log in. I was using a complex administrator username rather than the default “admin” username the hackers were expecting. WordPress security is fundamental: Every WordPress website needs to be fully secured and hardened. Why Would a Hacker Be Interested In My Site? Before actually diving deeply into securing your website and all of the steps you need to take to stop WordPress getting hacked, it’s crucial to understand the logistics and the reasoning behind a website hack. There are many reasons why a hacker would be interested in your “small” website. Although some hacking is done for political reasons (defacing of websites to send particular political messages, for example), these types of hacks are typically very localized and not as popular as the mainstream media would make them out to be. Most hacking attacks happen for more devious reasons. These days, hacking is part of a ring of criminality whose ultimate aim is to make money through fraudulent means. Typically, after a website is hacked it becomes a middle-man for the distribution of malicious software. Most times, the website owner is oblivious of all of this. There are frameworks which are bought and sold in the online black market, making it dead-easy to distribute malware through hacked websites. In essence, your website could become an involved party in criminal activity! Do you think your site is so small nobody will attack it? Think again. Using the following WordPress security checklist will go a long way towards making your WordPress site hacker-proof. How Does a Hacker Find My Site? You might falsely assume that in the millions of websites available online, the likelihood of a hacker finding and targeting your site is extremely remote. After all, your site is only a drop in an ocean of websites, right? Hackers don’t do this work manually. They employ minions to do their dirty work. Well, not really minions – they’re actually (ro)bots, or programs whose sole purpose is to seek out vulnerable websites. These programs or scripts are typically run on cloud servers, where they can be setup and destroyed at will leaving little to no traces. The scripts employ means to discover hundreds if not thousands of websites per hour. The fact that the scripts are bought very cheaply and run on cheap cloud hosting servers make the “investment” worthwhile. These scripts are commonly bought and sold on dodgy marketing forums. Once a site is found, it is probed for thousands of known vulnerabilities. If your WordPress site has not been fully secured, the likelihood of the site emerging unscathed is absolutely minimal. Vulnerabilities are continuously being discovered in WordPress and its plugins. That’s why securing WordPress is critical to the health of your website. With all of the above scary stuff in mind, I want to make sure that you’re armed with all the knowledge you can get to fully secure your WordPress website. Here’s a checklist of ALL the things you should be doing to secure your WordPress sites. This checklist is split into two: The first part includes measures absolutely everybody should be doing – mostly basics stuff, like having strong passwords. The second part goes into advanced measures for WordPress security for those who are really paranoid about security. This is for admins who want to lock the door, put a chain around the door, and put a padlock on it. And then a padlock on the padlock. Well, not really security freaks, per se. Although these are slightly more advanced WordPress security tips, you typically only need to know how to install a plugin, tweak a few files here and there and in general be ready for the possibility to break stuff. Be ready to revert with backups if that happens. This is seriously flawed reasoning. If you had to choose between a hacked site and a temporarily broken plugin, which would you choose? Plugins that are incompatible with the latest versions of WordPress are only going to stay that way for a very short time. A hacked site, on the other hand, is a far bigger problem. It’s important to always keep your WordPress core software up-to-date. Each core update fixes any recently discovered security problems. If your WordPress core software is not updated, your website will be vulnerable to these problems. Note: We don’t usually recommend directly editing your functions.php file. It’s always better to create a child theme. We will discuss later on how to also automatically update WordPress plugins and WordPress themes. This leaves your website dead in the water as soon as a security vulnerability is discovered in your version of WordPress. You’ll either have to figure out how to implement the specific fixes yourself, or just leave it unpatched. The former is a lot of hassle and a logistical nightmare; the latter is a serious security risk. What should you do if you need to change WordPress functionality? Write a plugin of course. This gives you the ability to do whatever you need without compromising WordPress core. Of course, the same logic applies to plugins and themes. The moment you perform any core tweaking of plugins and themes you lose the ability to update to the latest version. This leaves your site open to hacking. There are ways and means of getting the desired functionality you need without actually changing the core. If any developer you work with suggests making any such changes, run a mile. As with WordPress core files, vulnerabilities are frequently found in third party WordPress plugins. There have been plenty of high-profile hacking incidents due to popular plugins containing vulnerabilities. We won’t name and shame them here. Most software is prone to these issues at some point in its existence. It’s how the vulnerability is dealt with that shows you what the people running the company are made of. Many times, as soon as a problem is discovered the developers of the plugin will quickly fix it and release an update. At that point, it becomes your responsibility to update the plugin to the latest version otherwise you are still prone to a hack attack. Always keep your plugins up-to-date to ensure you are using the latest version. Whether you do it manually, or automatically, always keep your plugins updated. This only applies to plugins downloaded from WordPress.org. Any commercial plugin updates need to be handled through their own update mechanism. Don’t neglect the updating of plugins. Keep memberships of plugins active so that you can always get the latest updates. As the number of plugins you install increases, so do the risks of a vulnerability being discovered in one of those plugins. Sometimes we install plugins to test their functionality and then forget to remove them from our site. If a vulnerability is discovered in these plugins, your site becomes a sitting duck (especially if you don’t follow the advice above and always update the plugins). Your website is still vulnerable even if that plugin is installed on your website and not being used. The safest way to minimize the risks is to completely uninstall any plugins you are not using. There is a very easy way to know which plugins are not being used. They are marked as Inactive in the Plugin section of the WordPress admin. Also, remove any plugins that are active but still not actually being used. Better still, when testing plugins, don’t test them on your live site. Instead, create a test copy of your site (on a local test server or somewhere that is segregated from your live server). Perform any plugin testing on that site instead of your live site. The same logic that applies to WordPress core updates and plugin updates, applies to themes. Securing WordPress means that all themes need to be kept updated to their latest versions. Otherwise, any security holes that have been fixed will remain an issue on your site. Now you may probably be thinking about all of the changes you’ve done to the theme and how these will break if you perform a theme update. In reality, changes to themes should be done via child themes, rather than directly to the actual theme. This will allow you to get the latest fixes and security updates without breaking your changes. If you want to put your mind completely at rest, it would be best to also remove any unused themes. You can check which themes requiring updates from the Appearance > Themes section in the WordPress admin. This applies to themes downloaded from WordPress.org. Any commercial theme updates need to be handled through their own update mechanism. Keep your subscriptions active to ensure you get all security updates. 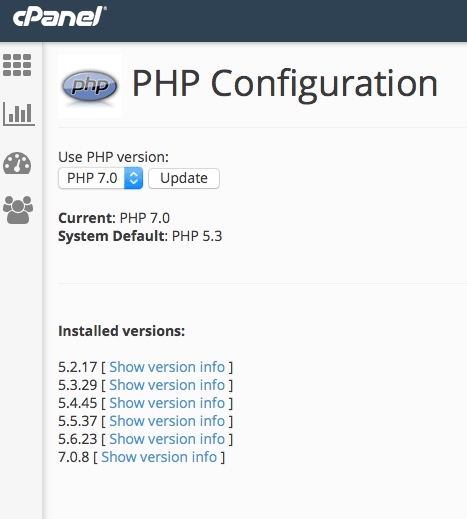 Note: If tweaking wp-config.php and functions.php files is not your thing, you may choose to enable all automatic background updates using the WordPress plugin, Advanced Automatic Updates. You can use Advanced Automatic Updates to tweak the settings of auto-updates and ENABLE all of the above. Sometimes when times are tough we might get tempted to “bypass” the payment of a good theme or plugin, by getting it from *cough* less than reputable sites. Actually, there’s no harm in naming and shaming here. Pirating, torrenting and other warez sites are something you need to avoid like the plague. What we typically don’t realize, though, is that many of these pirated themes you download for free have been maliciously tweaked. Most times a back door has been installed in the script. This allows the site where the theme or plugin is used to be remotely controlled by hackers for nefarious reasons. Would you trust your money to a known scam artist? I wouldn’t think so. Same thing for your website. Don’t trust “free” WordPress scripts coming from people whose business is stealing other people’s work. So where are the safe sites to go to find quality themes? If WordPress security is important to you, stay away from pirate sites. A good WordPress hosting service goes a long way towards protecting your site from hacking attacks. Security conscious hosting services will have a dedicated security team who monitor the latest vulnerabilities (even 0-day hacks, i.e. those for which there is no remedy yet) and preemptively apply rules on their firewalls to mitigate any hack attacks on your site. WordPress hosting is a bit of a hot topic, so I won’t be making recommendations here, but the WordPress hosting page does make a few suggestions. These are by no means the only security conscious hosting companies out there. Check out post Web Hosting Review: So Just Who is the Best? for a rundown on the web hosts to look out for. The global WordPress statistics page includes an alarming statistic: Only 1.7% of WordPress installations run on the latest version of PHP (7), whilst about 19.8% run version 5.6, which is still supported. The rest of the WordPress installations (close to 80%) run on versions that are no longer supported! 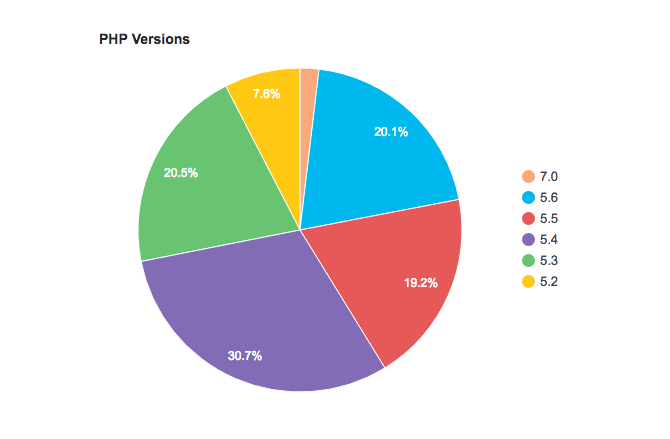 The latest WordPress version stats show most installations are using PHP version 5.4, which is unsupported. Besides the fact your site is not benefiting from performance features released with latest versions, it also means that security fixes that are discovered will not be fixed. They will remain in the wild, ready for exploitation. Just like WordPress gets a number of core updates, including security fixes, PHP, the underlying engine of WordPress, also gets it fair share of version updates. Now, updating WordPress core, themes and plugins is a fairly straightforward operation. Don’t forget to update to the latest version of PHP. On the other hand, updating your PHP version depends largely on your hosting service. A good hosting service should make the latest PHP versions available for use with your WordPress installation through something called with PHP Version Switcher (which is typically accessed through your cPanel account). Up until WordPress 3.0, the default user name of the administrator login was “admin.” This created a bit of a bonanza for hackers as there was no need for them to guess the administrator username. This is something still valid today. Many people still choose to use “admin” as the default administrator user name. One of the quickest ways to secure your WordPress admin login against brute force attacks is to change the default “admin” username to something more difficult to guess. (This is what saved my own site from getting hacked). You can – and should – do this during the actual installation of WordPress. If your username is currently admin, you should create a new administrator user with a username that is less obvious to guess and delete the old admin user. This quick and easy WordPress security trick can thwart many simple hacking attempts. When watching a client enter their administrator password, I like to give them their privacy and look away from the keyboard. To say I was horrified would be an understatement. Besides the fact that anybody looking over your shoulder (like myself) would immediately pick up that password, there is a much more serious reason why you must create strong passwords: hackers know that human beings tend to forget their passwords and are prone to using simple, easy to guess passwords. They use this to their advantage by having a list of most commonly used passwords, which they try over and over again. This is called brute-forcing a password. Since some people WILL use these passwords, it’s essentially a numbers game – and the odds are usually stacked against you. So always use a strong password. Should all your passwords be as complex as this one? Probably. You should NEVER reuse passwords. I hear you, it’s convenient to have one (hopefully strong) password across the board. You won’t have to remember so many passwords but this is very wrong on many levels. Once again, hackers know this is a bit of a human weakness. It means that when one of your accounts is compromised they have probable access to ALL of the rest of your accounts. There are plenty of password managers out there that will allow you to create different passwords and store them securely. These are highly recommended. This is not just WordPress security – this is just common sense. It’s a known fact (and a sad reality) that there is all kinds of snooping on internet traffic. Sensitive data such as credit cards and passwords should never be sent in unencrypted form. Implement HTTPS on your WordPress site, particularly on your backend, to avoid passwords being sent in plain-text. You can learn all about implementing HTTPS in our article How to Use SSL and HTTPS with WordPress. Avoid using plain FTP when accessing your site. Use SSH or FTPS. The FTP protocol was written in the internet dark ages, and it’s not safe to use. Passwords and files are transmitted in plain text and not encrypted at all. FTPS or (Secure FTP), on the other hand, actually encrypts data transmission over FTP. You’ll need to setup an FTPS account on your hosting server before being able to do this. Of course, passwords should not be shared between users or stored in plain-text anywhere no matter how convenient this may be. The practice of sharing logins and passwords flies in the face of security and accountability. Sometimes we tend to take the convenience of finding free Internet Wifi as a godsend. But paranoid security freaks (like me) tend to shudder at the thought of updating a website from an untrusted network such as the free Wifi connection at your local cafe. An open Wifi connection is extremely easy to snoop on. You may be getting much more than the “freebie” you thought you were getting if you access your WordPress administration site from a network that is untrusted. Only update your site from trusted networks, such as those at your home and at your office. Imagine you are a computer virus sitting on a desktop workstation. Bear with me for a moment. Remember that a virus’ primary aim is to spread itself as far and wide as possible. What better way for that virus to propagate than replicating itself onto your website. That’s pretty nifty, huh? This is a tactic widely used by viruses. There are many infected workstations out there at any point in time. And of those workstations, there are many who are being used by WordPress administrators. That’s a bit of a worst case combination. A virus on your desktop can quickly spread itself and lead to infection of your site too. It can also snoop on your passwords and, heck, even your credit card and other personal details. Make sure your local workstation is running a good and updated antivirus to prevent it from getting infected and spreading to your website. Whilst this is not a strict WordPress security recommendation, it’s something that can supplement the steps you’ve already taken to bolster your WordPress security. Google and other search engines have an interest in making sure your website is kept clean of malware. 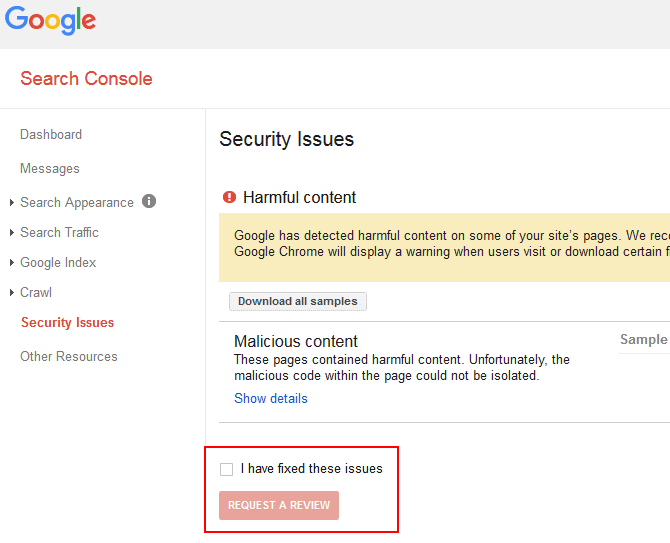 For this reason, the Google Search console will advise you if your website starts to host any malicious files. Although this is a non-ideal situation where your site would have been hacked already, rather than acting to prevent your WordPress site from being hacked, it’s still good to know that malware has been detected on your site so that you can rectify the problem as soon as possible. Google Search Console is a free service offered by Google that helps you monitor and maintain your site’s presence. Many of the steps in this checklist are not trivial. They also might require a bit of technical tinkering with your WordPress website, and rather than securing WordPress, you may blow it up. We’ve got you covered, though. Defender is an easy but sure way of securing WordPress with little to no effort from your side. Our security plugin can identify any WordPress security issues currently affecting your websites and provide guidance on how to fix them. Whilst, we believe that Defender is one of the best options for people familiar with WPMUDEV, there are plenty of other options in terms of WordPress security. Two of the more popular options are Sucuri and Wordfence – they are very different in the way that they work. The former is a fully cloud-based solution which also couples as a firewall and even a CDN, the latter is actually working on your site directly (it’s a plugin). We’ve reviewed both of them on CollectiveRay.com, so have a look at that article too, if you want to make an informed choice with the pros and cons of each. Once you’ve fixed any issues, you can also run a scan to ensure that none of your themes or plugins contain any known vulnerabilities. If they do, you’ll be able to take action to fix these issues before they become major problems for your site. 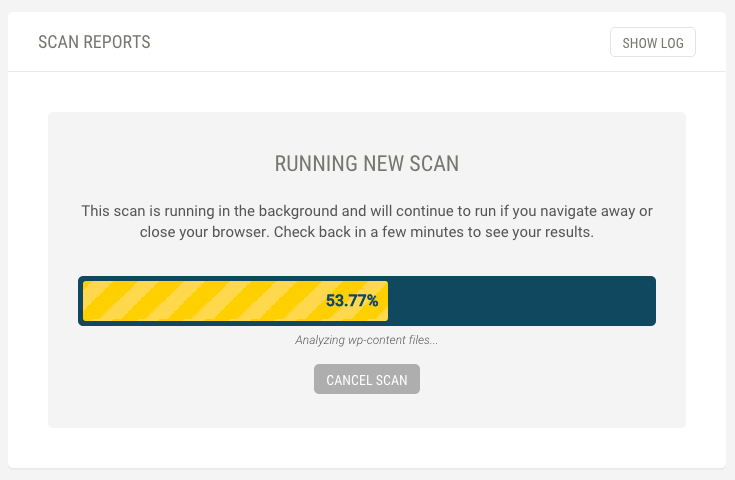 Besides the first time you install it, Defender allows you to schedule regular scans of your websites. If you’re like me, you’re bound to be very enthusiastic about WordPress security one day, but as things get busy security goes on to the backburner. Automatic scans will ensure you don’t go lax with your WordPress security. There are plenty of other excellent features in WordPress Defender, including blacklist monitoring and alerts, vulnerability reports and customized hardening. I’ve listed quite the checklist of things you should do to secure WordPress and I do understand that it may be somewhat tasking to implement all of these. I also know that in practice, you might lapse and miss a few of them. But there’s one task you really should not skip! If your timing is unfortunate and your lapse happens at the same time as a hack attack, it’s important o have a fall-back plan. The one thing you should never, ever miss or forget to do is have a WordPress backup plan. Not only in the case of hack attacks, but even in the case of accidents, technical faults and other mishaps. Having a backup ensures you can get your site back up and running again quickly. Snapshot Pro is like a time machine for your website, enabling you to backup and restore your entire site and even schedule regular automated backups. Once you’ve setup a backup plan, you know that if your site is hacked you just need to discover the source of the hack, revert from backup, fix the “hole” that allowed your site to get hacked and you’re good to go. Important note: You should TEST your WordPress backup every so often by restoring it to a temporary location and making sure everything is in working order. The last thing you need is a backup that you think works, but in fact doesn’t. We’ve already discussed brute-forcing of passwords and the fact that using bots is cheap and a good investment for hackers. For this reason, you should put in place mechanisms to block any attempts at brute-forcing your password. The Limit Login WordPress plugin does exactly this. If it detects a number of incorrect login attempts it denies that user the possibility of trying again for some time. This, of course, makes the brute-forcing attempts much more difficult to succeed and significantly improves your WordPress security. One way of quickly and very easily securing your WordPress logins is by enabling Two Factor Authentication, also known as 2FA. 2FA creates a mechanism whereby to log in to your WordPress backend, besides your regular password, you will also need a time-based security token that is unique to each user. 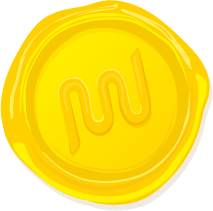 This token also expires after a period of time usually 60 seconds. The security token is typically generated by an app such as the Google Authenticator. Because there is a security token unique to each single user that expires, even if somebody knows your login credentials, they will still not be able to log in. This is because they will not have the current security token. This drastically increases the strength of your login and also helps mitigate brute force attacks on your login details. There are a number of plugins that can help you setup WordPress Two Factor Authentication. Check out 6 Best WordPress Security Authentication Plugins for some of our favorites. This is a bit of technical thing. In general, your web server typically needs to be able to write files for WordPress to work correctly, whilst the public internet NEVER needs to have write access to your files. Some newbie or lazy developers, might suggest that you change permissions to be more lax. For example, they might suggest making certain files or folders publicly writeable (777). This will create a serious security threat because it means that anyone can write anything to that folder. You can rest assured that you’ll find plenty of nasties in your WordPress site if you do that. They will also probably find ways and means of jumping out of the folder to wreak havoc on the rest of your site. As a general rule of thumb, files should have a 644 permission and folders should have 755 permissions. The wp-config.php file should have 400 or 440 permission. If anybody tells you otherwise, be very wary. My suggestion is stop dealing with anybody who suggests otherwise. How can you check for the correct file permissions? Defender, mentioned above, is a WordPress security plugin that will check and fix file permissions for you as necessary. Although this is no longer default behavior, some people still tend to revert to this (unsafe) practice, whilst older versions of course still have to live with this. Although this is, strictly speaking, WordPress security through obscurity, renaming the tables from wp_ to a different prefix may still block some attempted SQL injection attacks. The procedure to rename existing wp_ tables should be done only by your trusted WordPress developer. You might have come across these eight WordPress security and authentication keys in your wp-config.php file and wondered what they are. You may also have never seen or heard about them. Essentially, these are random variables that are used to make it harder to guess or crack your WordPress passwords. This is because it adds an element of randomness to the way that passwords are stored in your database which makes them much harder to crack by brute force. Although most self-hosted sites do not have these in place, you should actually implement them. Do not share or make these keys publicly available. It defeats their purpose. One of the first things a hacker would do if they got some kind of access to your site would be to execute PHP from within a directory. But if you were to disable this, even if a vulnerability existed on your WordPress website, this protection would seriously cripple the rest of a hacker’s attempts to takeover your site. This is quite a strong WordPress security step and may break some themes and plugins that might require it, but you should implement this at least in the most vulnerable directories wp-includes and uploads. If you run multiple websites on the same hosting server account, you might be tempted to create all of the sites in the same database. This creates a WordPress security risk. If one website gets compromised, all the other WordPress sites hosted on the same database are also at severe risk of hacking. When setting up your WordPress installation, the first thing you should do is create a new database. Give it a separate database name, database user name and password, which is different from any other sites or logins you have. This way, if one of your sites gets hacked the infection won’t spread to your other sites on the same shared hosting account. When setting up a WordPress site for the first time, you may, through lack of information, create a security issue via the database user privileges. In general, the database user only needs the following privileges: For most WordPress day-to-day operations, the database user only needs data read and data write privileges to the database: SELECT, INSERT, UPDATE and DELETE. You can thus remove additional privileges, such as DROP, ALTER and GRANT. NB: Some major WordPress version upgrades might actually need these privileges, however in most cases the general running of WordPress doesn’t need these privileges. It is advisable that before doing any WordPress updates, or installation or updates of WordPress plugins, you have a fully working backup. When you are in the initial phases of creating a website, you’ll probably need to tinker around with themes and plugin files. By default, WordPress administrators have the rights to edit PHP files. Once your website has been developed and is live, you’ll have much less need to edit these files. However, allowing administrators to edit files is a security issue. This is because if a hacker manages to login to your site, they’ll immediately have edit privileges and they’ll be able to change files to suit their malicious needs. If your WordPress files were to be analogous to the human body, the wp-config.php file would be the heart. I won’t go into too much detail about wp-config.php here – we’ve already covered it quite extensively in The WordPress wp-config File: A Comprehensive Guide. But the fact that it stores such important stuff such as the login details for the database used with your WordPress installation, hashing password salts and other important configuration settings, suffice to say this file is very important. Clearly, you don’t want anybody poking around this file. I strongly recommend implementing specific security measures to safeguard this critical WordPress configuration file. There are disagreements about whether this file should be moved away from its root location, however, most agree this file must be secured. WordPress provides the ability for an application to access it remotely via what is known as an Application Programming Interface (or API). This means that applications can access your site (for benign reasons). A typical example of usage of the XML-RPC is if you are using a mobile application to update your site. There are also some plugins, which use XML-RPC. For example, Jetpack uses XML-RPC functionality. However, the XML-RPC can also be used to perform hack attacks on your website. Many users today believe that XML-RPC is as secure as the rest of the WordPress core, but you can rest assured that XML-RPC is something that hacking scripts are going to be probing. You’ll probably find plenty of hits to XML-RPC if you have enabled logging on your site. If you are sure that you don’t have any third party applications or no WordPress plugins are using your WordPress website via XML-RPC, you can choose to disable it using a WordPress plugin. When you are developing a website, error reporting is a life-saver. It shows you exactly where an error is coming from so you can quickly fix it. But, on a live site, error reporting gives crucial clues to hacker to make their life much easier than it has to be. PHP error reporting can give away important information about your WordPress installation. The error above is giving away the username of the account. That’s a crucial piece of information for somebody who is looking to attack your hosting account. This is only one piece of information – error reporting can typically give really good clues if you know what weaknesses you are looking for. This ensures that any WordPress security risks created through exposure of sensitive information about your site are mitigated. There are two main types of firewalls, or uses for firewalls. In network security, firewalls are used to segregate different types of networks. Either keeping things from getting in, or things from getting out. Again, if we use an analogy, a firewall can be described as a bouncer – you’re only allowed into a VIP party if you are on the guest list. Just like the bouncer at a party who typically stops people from getting in, software firewalls can be used to keep hackers from getting near your website(‘s party). In the case of securing WordPress, we’re going to use a Web Application Firewall (WAF) to keep hackers from sticking their dirty little hands (or bots) into places where they don’t belong. There are a number of WAF firewalls but one of the most reliable, free and open-source firewalls usually available with WordPress hosting services is the ModSecurity firewall. You may want to ask your hosting service to see whether this is available on your hosting service, and enable it if it is. Once it is enabled, your hosting provider or your trusted WordPress developer can typically suggest or implement rules around ModSecurity. A Content Delivery Network’s primary use is typically to optimize the performance of your site by serving heavy resources fast. You can learn more CDNS in our article 9 Top CDN Services for a Super Fast WordPress Site. CDNs, however, provide another secondary feature: most CDNs are able to protect against a number of WordPress security issues. If you are using a CDN (and you should), make sure you are also enabling the security rules provided to improve the protection of your WordPress website. If you don’t know what attacks are happening on your site, you’re hardly likely to be able to stop them, right? 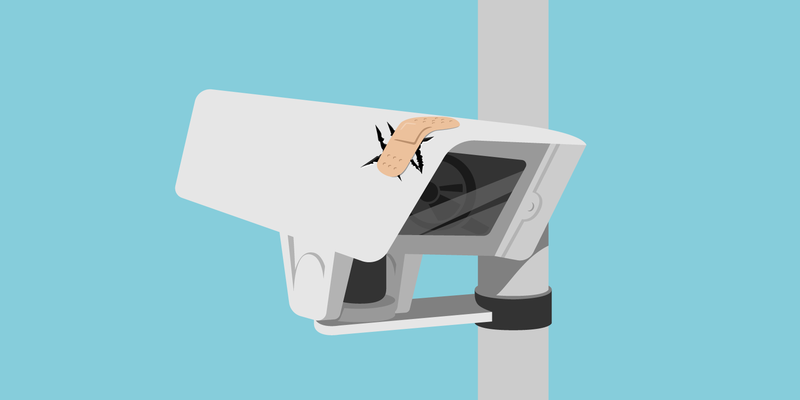 You can improve your WordPress security through monitoring your logs. For example, if you find that most hacking attempts are coming from a specific country, perhaps one that your website doesn’t cater for, you could choose to use your firewall to block that country. This is, of course, a very simple example of what monitoring can uncover. You can choose to use OSSEC if you have direct access to your hosting server. You can also choose to use a security auditing plugin to keep regular audit logs. This ultimate WordPress security checklist might give you a bunch of work if you haven’t much thought to securing your WordPress website before. The good thing is that these steps don’t require a lot of effort to become part of the process of creating a website. WordPress security is something to be taken seriously. Hack attacks have become the norm. Your website is probably under attack right now. OK, so you might not put all of the above in place, but the more of these WordPress security measures you put in place the better. Because wouldn’t you rather be safe than sorry? How many of these steps have you taken to secure your WordPress site? Share your score below! And don't forget to download our 32-step PDF checklist. Hey Arek, happy you found the article useful for you – that’s what we strive for. Excellent resource article David. One thing I have been experimenting successfully with is using a “cocktail” of both sucuri and wordfence (both free versions) on my sites. I am also using Defender on another 6 sites too. But I have found that since I blended my solution with both sucuri and wordfence that I have not had any issues at all. I like Defender’s way of approaching security and i have not had any breaches on those sites either. Hey thinkDelaney, if you found a combination which works for you – that’s fine. My opinion is that I’d rather have less plugins than more (I’m fixated on speed apart from security ;-)) … so I’d rather have one good paid plugin than a hybrid of two free ones… of course to each his own. I like Defender because it just keeps security simple – which is what most people need in reality – a good security plugin which doesn’t overwhelm them with complex stuff they don’t really know about. This is a very thorough article. But I am struggling to understand the invitation to download this? I can open it and read it, but I cant find any button or mechanism for downloading it. This opens a PDF – presumably in your browser. As such, the controls are dependent on how / which browser you use. But for me in Chrome, I have a download / save button which shows on the top right of my window. Hope this helps. Further to what Ben mentioned above, you can also right click on the button and select ‘save link as’ in the browser context menu. “Scroll down to read the full 32-step checklist for securing your WordPress site, or download the checklist as a PDF”. The invitation reads as if you can download the whole article in pdf form, which is verfy misleading. Some browsers will download, it depends on the settings in the browser, many are defaulted to open documents rather than downloading. We can’t be responsible for browser settings. The below link will explain how to prevent browsers from automatically opening certain files. But if you right click and select ‘Save link as’ it will download it, so i’m not sure that is misleading at all. The idea of the checklist is that you can keep it handy Paul, so that when setting up a new site rather than remebering all the things you might want to do – you just refer to the checklist to make sure you’ve covered all your bases. As a side note… the person doing your graphics is fantastic at what she/he does. I could hardly get past that bicycle image to read the article. It is so beautifully expressed. Aww thanks! Our in-house illustrator Julian is very talented! Won’t that just prevent the execution of all PHP files on the site? Yes, that’s why it is with the advanced security tips. We’re also suggesting you do it in “vulnerable” directories only such as the /wp-includes and /uploads – where there is the highest risks of exploits. Thanks for the article. Could you please upload the PDF again but enable that checking those boxes in the PDF is possible as this would be a great way to present that PDF at the end of a project also to customers. If you add also a small Text area Box at the end also the company could enter their informations and beside that it would be a great way of advertising also WPMUDEVs services, as you have already your logo there to but it would be good if it would be linked to wpmudev if I were you ;-). Hey Andi, glad you enjoyed the article! That’s a great idea. I’ll look into getting it done and let you know here. Just letting you know we’ve replaced the downloadable checklist with a checkable version, so feel free to download it again. Hope it comes in handy for you with your client work! Where is the REPORT Button to report people who SPAM this Blog Like Thompson does! Please remove that person – Thanks! Glad you like it Korsten, we do our best! Thanks for you feedback and suggestions! 2. I hope you are already doing that without the checklist, not setting up all of your users as Admins – but yes a good point to note for sure!